Today I did this beautiful dotticure nail art after I saw an example. But I did this with pink because I felt like this. 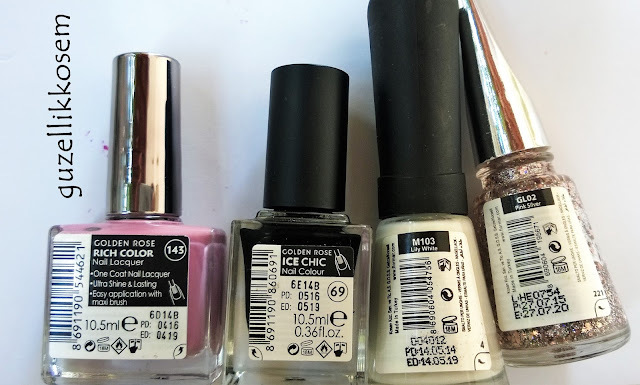 Let's look at all the nail polishes I've used. 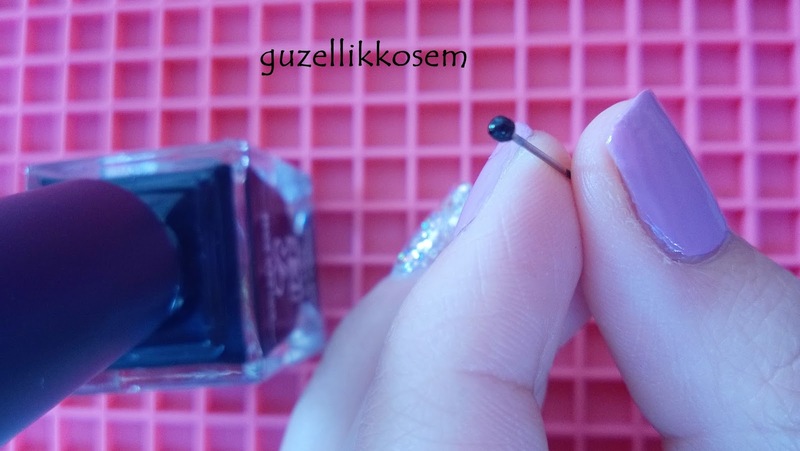 For the dotting part, I used a pin. I have dotting pens but I can't find them because I've recently moved. But pins are great, too. 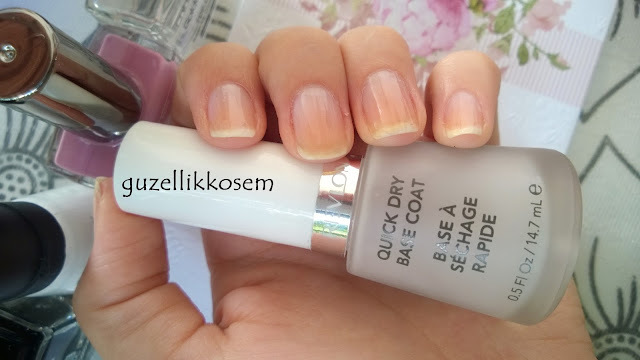 Firstly, I applied Revlon Quick Dry Base Coat to protect my nails. Then, I applied 3 coats of pink Golden Rose Rich Color 143 on my 3 nails which you can see below. Then, I painted my middle finger 3 coats of Flormar Supermatte M103 Lily White. 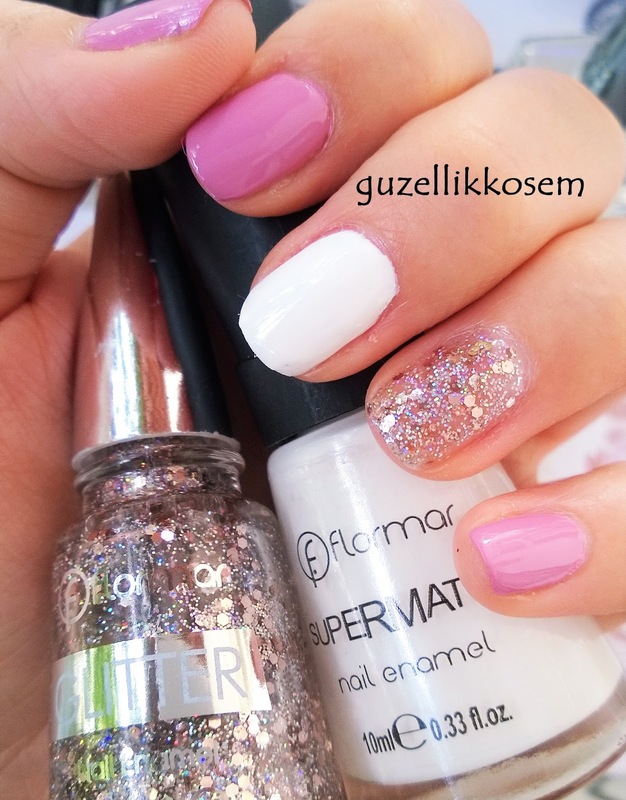 For my ring finger I applied 5 coats of Flormar Glitter GL02 Pink Silver to have a full look. 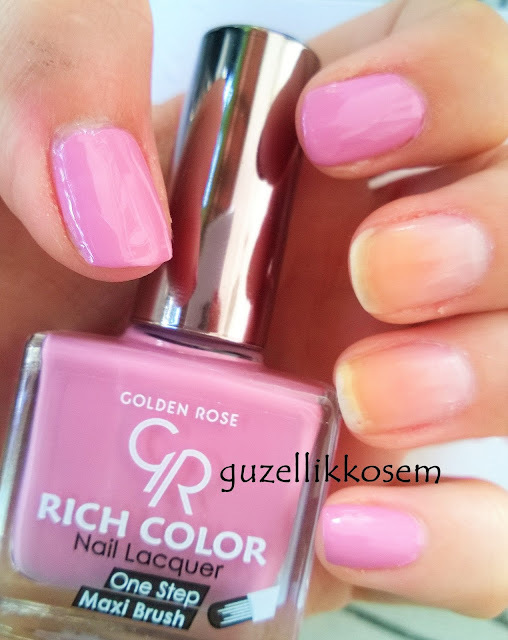 I took nailpolish to my pin by simply touching the brush of the black Golden Rose Ice Chic 69. 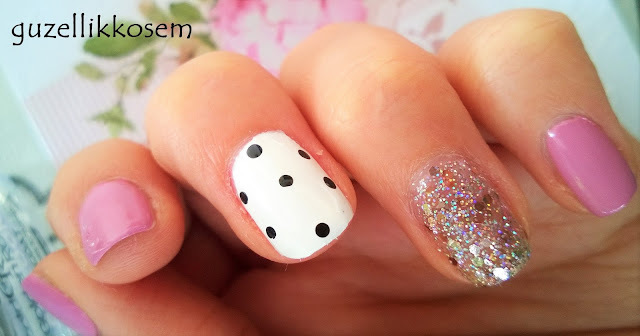 I applied small black dots on white nail polish. 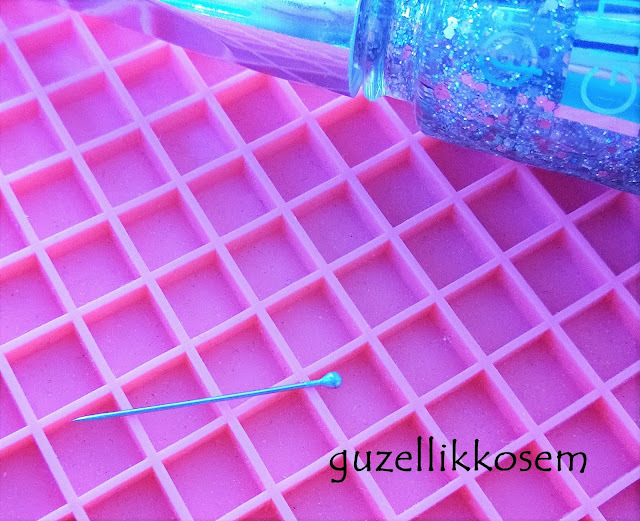 Firstlı, I put 3 dots vertically. Then, I applied 4 more on the edges. This is how it turned on. 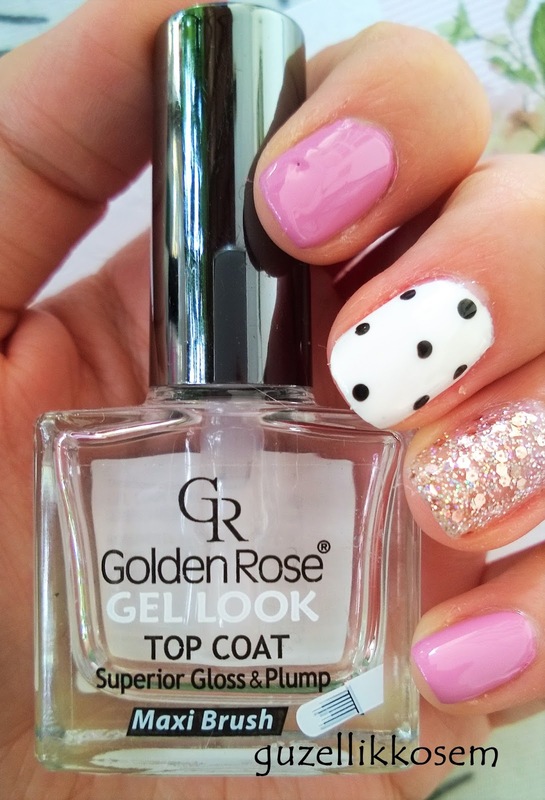 As a top coat, I applied Golden Rose Gel Look Top Coat. Hope you enjoy this design. Love to hear some ideas from you. Hi, I'm Sedef! I'm from Turkey. 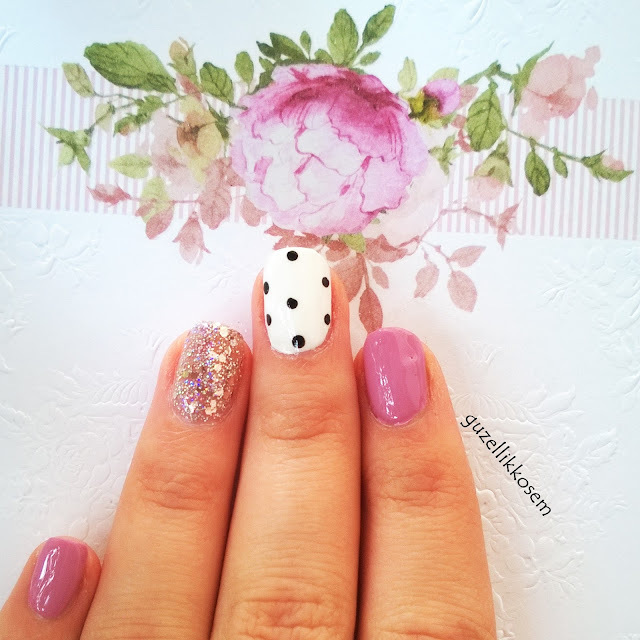 This is my nail art blog. I share all about nail art and polish. I love designing patterns, doing DIY projects and animals.Happy to welcome you to my blog.